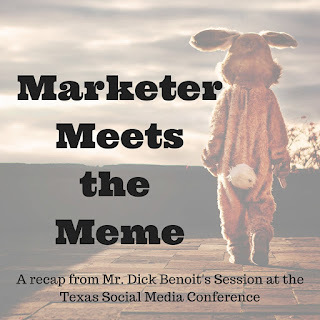 The 5th Annual Texas Social Media Conference included amazing presentations focused on social media presented by researchers and individuals in the social media fields. 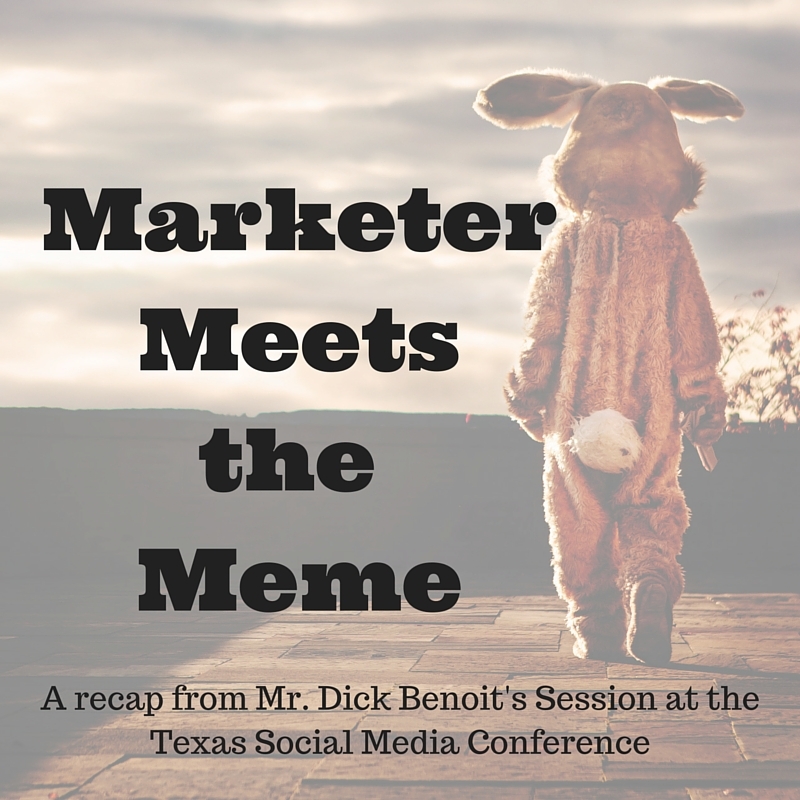 Here's one of the presentations by Mr. Richard Benoit from the Tarleton State University Communication Studies Department. DESCRIPTION - Discussion of the origins of memes, examples and case studies of their use in print, mass and social media, as well as analysis of contemporary use of memes in social media, approaching the topic using early diffusion theory and contemporary concepts of cultures and co-cultures impact on the communication environment as related to the efficacy of memes.